August 28- Can we make others happy? what would you answer to this question? I will tell you why I ask: some members of my hometown family are going through health issues and other challenges, I wonder if I can really be of help. Are parents responsible for their children, children for their parents when they grow old, spouses or partners for their loved one and friends for each other? Maybe when children are very young, or when people need daily care, we can contribute to their wellbeing. But “make them” happy? Had I the power, I would bestow on everyone -including myself- good health, high spirits, wealth, and I would grant them their wishes. Would that be enough to make us radiate? And then there is still another question: how do we help without becoming overwhelmed and loosing our own sense of direction? We are responsible for our own happiness, but at the same time, the happiness of those we love is important for our’s also. I have been reading Jeorge Bucay, the Argentinian psychotherapist on the path to happiness. He mentions that happiness, however we define it, has to do with the fact that we take responsibility of our own life. I can’t make you happy”! this is a self-transformation journal and being in my hometown is a challenge in this respect: is there any positive change in my life since… adolescence? There is but… not enough material changes. For example, I come back by myself, without any husband, official boyfriend nor children. I haven’t returned home richer. Hotter? definitely yes 😉 A hometown visit in the heat of the summer, spending time with family, is perfect for existential questions. And yet, despite the fact that it is not very agreeable, it is still very useful! To begin with, in order to change my reference points. What if I have chosen different ways to measure time and change than some of the neighbours? Anyway, even at a small place, not everybody has the same values; and the difference I see in me is that I have created something, my novel, even though it has not been published yet. I have found things I love that keep me passionate about life and creation. 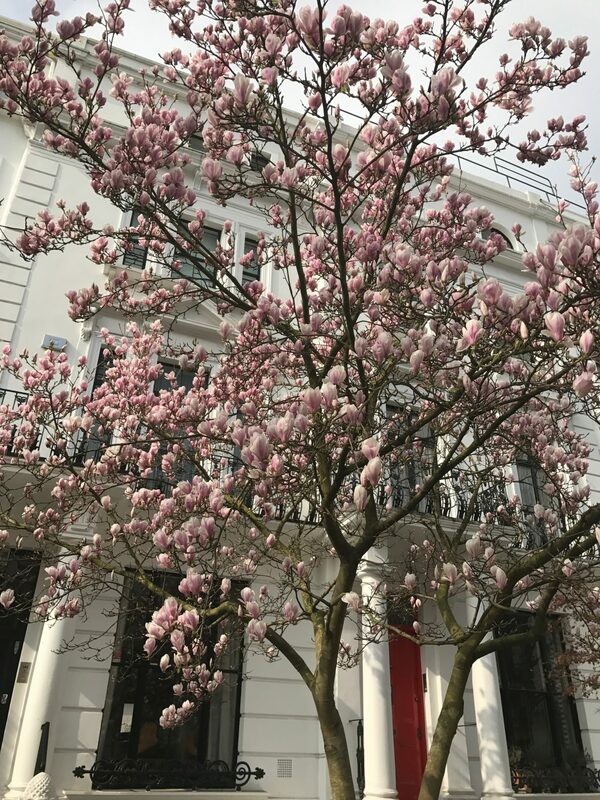 Now, come on April, you might say, don’t pretend you are so above material success … we are flesh and blood also, we have a body, among other things… if everything were so perfect why do you bother us with your blog posts on transformation? Do you or don’t you want to change? Yes and No. There are a lot of things I like about me and my way of being and others I need to update. And in what direction, if I may ask? You could say. As I rest for a few days at my parent’s home, between boredom, pleasure to see my family and high temperatures, I reflect on my recent experiences and try to make some sense. Alexandre, my 3 year and a half old godson, is a great source of inspiration. Alexander met his recent love at the beach. It was a love at first sight and they became close in an instant. Despite his friend’s efforts to drown him and sand thrown in his eyes, nothing altered his feelings. How long is this love going to last? Until he goes back home from holidays? Do we fall in love that easily as we grow up? And when we do, when we keep this instinctive reaction can we trust our heart? I have recently met a man with whom I have become great friends. Almost as easily as Alexandre did. It was during his holidays, and now he is back home. We talked for hours and hours. Is this a summer love, a friendship or something more? The feeling of “meeting” someone, is so great! We find out that we share a common interest, something of value to both. If I love ice cream, and this person is an ice-cream flavor creator, it follows that I feel delighted to get to know him.Then we see that communication is easy. If the meeting is brief, we don’t have the time to bother about our differences. When Alexander’s friend did something he didn’t like much, he decided to respond in the same way, but this was part of the game, and didn’t change at all his feelings. What do we do as grown ups regarding our differences? Do we manage to create relationships after the first enthusiasm? Can feelings of love and friendship outlast our holidays? 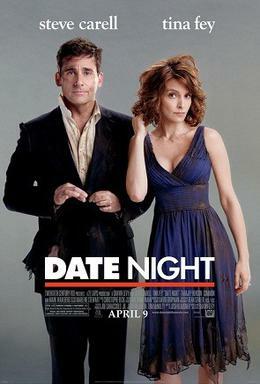 I just watched the film “Date Night”, with Tina Fey and Steve Carell; it was released in 2010 but I could never make myself watch it even though I like comedies. The story of a married couple who tries to find again the spark that united them is not a story I can identify with easily. Not at this time of my life. But now that I watched it, I see I was wrong. I enjoyed the rhythm, the actors, and found it quiet refreshing. I have a lot of friends at different points of their relationships. Married, divorced, in love with someone who is or is not responding, with young and restless children; in couples that have transformed into friendships; or single in flirting friendships who don’t know how to qualify the relationship they have with another person. A new friend I have made gave me an interesting definition of a loving relationship: he told me it can be very demanding because the other person is constantly in your mind; there is a kind of fusion, when it comes to feelings, but also thoughts. Is love a fusion? A melting pot? Until the fire ceases and then you become a roommate? I have been madly in love, but before getting to know someone closely. When this happened, I was loosing interest. Up to now, I haven’t experienced what my friend described. Is this the only way to love? Love, the way I understand it would involve growth for both people. you’d rather have me talk about holidays, seaside, fun, wouldn’t you? It’s ok, you can say it! I understand! I admit I would rather be at the beach myself. 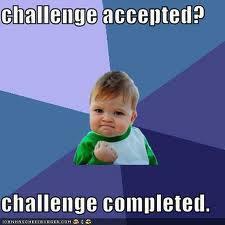 But I had a mission to accomplish: submit my funding demand by August 5. I have succeeded the first step of the evaluation by the end of june, and here I am, submitting my project again, for the second round. I did it! It was a hot day, but I defeated all the temptations that were coming my way, gathered all the necessary elements and send them! Now of course, I need to wait for the results! But it is already important to be part of the game! On the following days there were complementary actions I needed to take, some, quiet necessary. The most important thing: I finished everything related to the project by August 10. If I do the update of the last one month and a half, there is another major event that took place: the artistic event at the tiny village of the South of France. And it went well. Thank you so much Nicole for nominating this blog again (http://ultrarunningmom.com/2014/07/29/very-inspiring-blogger-award/); I reblog my answers and will add some points, such as: three things that inspired me the most this week: 1. friendship, coming from people I know well, but also from people I hardly know, a kind gesture that is unexcpected and precisous: as having a discount in my local café and not knowing who do I owe it to 🙂 2. love: feeling in love is great, … a friend gave me a new understanding of what love can be; c. fulfilling a goal I have set: it gives a feeling of accomplishment, no matter what the result can be! I came home a bit tiered after a full exhibition day and almost mechanically turned on the computer to check on my blog. “Likes” usually make my day, and on top of that, the “cerise sur le gâteau”, I found a beautiful surprise! A message from a co-blogger, Alygeorges, who nominated me for the “Very Inspiring Award” (http://alygeorges.wordpress.com/)! The title is already an inspiration! I don’t know whether the blog deserves it, but it is always a pleasure to get presents, and it is as if you offered to me a present dear Alygeorges! Thank you! what a beautiful moon! I have been out in one of my hometown cafés’ with a friend and her children. Another friend joined us later. My friend’s daughter complained because her brother was tearing her hair. I told her: look at the moon, isn’t it wonderful? The biggest full moon of the year! Everything else seems to be of no importance. Everything else should turn in this direction; every meaningless conversation or preoccupation should cease; the presence of a full moon and the stars at night make us realize we are on a planet that is part of a bigger system; and help us place our ideas into perspective. In this beautiful photo, that I found in the French Express magazine, a Greek ancient temple, a human masterpiece is pictured with a tree and the full moon, representing beauty at a different scale. people come and go, we are travelling space, time, dimensions… for the time being the last two artists left my hometown for their respective countries; they had come to a tiny village at the South of France, close to my hometown, just to participate at the artistic event I was co-organizing.That happens to be close to my hometown. Just? Or was it that the South of France is a wonderful place to be in the summer? Can I take credit for Cannes or Antibes? Barely so. Anyway, they were happy to be here, although they found the organization a bit “amateur”, which is right. Nether I nor my hometown partner are professional organizers in a way. We are also artists, doing our best. It was only 2.00 when I went to bed. My last visitor arrived at about 10.00 from her tour at some of the most beautiful spots and she would take the first train in the morning to the closest airport. I had promised to host her at my parent’s house; they were very kind to allow their place to become an airport: with people landing and taking off at different times of the day. How do we relate to travelers in our lives? It is exciting to have them near by, because they open a window to far away places and experiences. After all, we are all travelers. I spoke to my godson Alexandre today, who is on holidays with his parents, at a little village of the South of France. Not far from the place where the artistic event took place. I am sorry to have missed them! Alexandre is three and a half and he has already found a girlfriend at the beach. Apparently she has thrown sand into his eyes and according to his mother has tried to drown him, but that doesn’t seem to have affected his feelings. Is that what love is all about? His mother worries a little bit he will be overwhelmed by bossy women… until he said he would try to drown her tomorrow. Is this what love is all about? And then why Alexandre doesn’t choose a kinder playmate? Is it less exciting? Do we need a feeling of danger to make things interesting? I wouldn’t know what to say. I used to like men who seemed to be a little bit apart: artists, with a dark and sophisticated mood. Now I am more into people who are affectionate and sunny. Oh, and who cook or appreciate the quality of their food. Who can share and be playmates too. Alexander has chosen excitement. Maybe it is an important component also. In order to keep passionate and interested. Is he giving me an example or should I become one for him? I have hardly caught my breath from the very intensive July rhythm and here I find myself with a new deadline: my research project that succeeded to pass the first step by the end of june, needs to be “amplified” and resubmitted for the second step of the evaluation. It was end of june when I found out, but after July 8 I concentrated on the Big artistic Exhibition in Paris, and my little two-day artistic event in the South of France. With all that happened at the little village of the South of France where the event took place, I haven’t advanced ever since. Apart from travelling, being responsible for a group of people and at the same time participate with my work in a special performance, doesn’t leave a lot of time to sleep. And yes, we also partied. In the last two days, I came to my hometown again, that is also situated in the South of France, not far from the village where my artistic event took place. However, two of the artists have also followed me. This has created a lot of distraction. But today, this afternoon, I got myself back on track and back to my writing blog.